Woke up Tuesday not really feeling ready for prime time. One of those days that you just get through. That was until I started cleaning up my email during slow times at work. 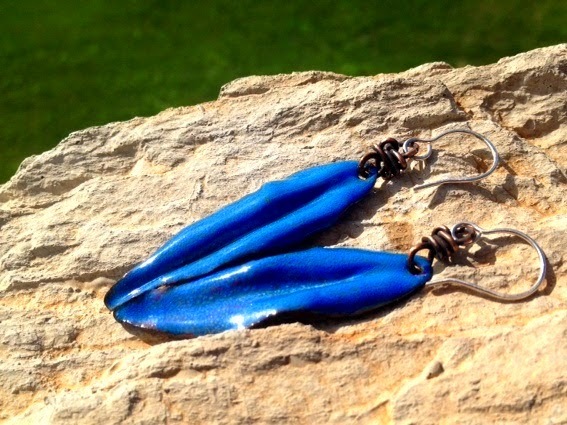 I found out that I won from Love My Art Jewelry blog. I mean just look at them. They are the perfect antidote for a blah day. I was able to spend some time in the studio this last weekend and came up with a few necklaces necklaces for both the pearl hop this weekend and an upcoming blog hop using Sue Beads Chicklets. I just adore one of the necklaces and have claimed it for my own. I found a necklace that I had made up a while ago and stashed away to take a picture of. I hope that I am not the only person that does that. 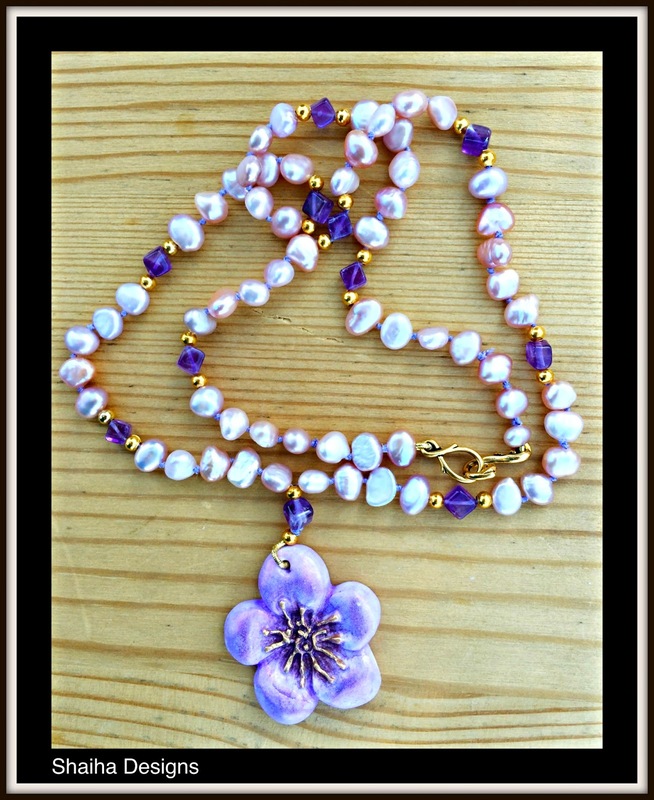 This necklace was hand-knotted and contains both freshwater pearls and amethysts. The focal is from JKD Studio, It is one that I have up for sale for only $54.99 so if interested, be sure to drop me a line or leave a comment letting me know. Oh no. I found out that my ex-roommate had to let her cat go. Creature was an older cat who was a real sweetheart to certain people and apparently had a large tumor in her stomach. I was one of the people that Creature loved and I will be missing her. How can a toilet plunger just up and disappear? I don't have kids so it's not like one of them took off with it. And how come I am not a person that remembers it is missing until it is needed? Here's some great tips to help maintain your pearl jewelry. Just click here. Well I told you that I have pearls on the brain. I have become addicted to Darkness Radio. I ran across the host one night while listening to Coast to Coast and feel in love with his style. I am still at work while the radio show is on so I listen to it in podcast every night Monday through Friday. Great show that deals with a lot of paranormal themes. I was rather impressed when last week I wrote with a complaint because it was uploaded one evening. I heard back within two hours from the host explaining what happened and apologizing. I just found out that my Mom and Stepdad will be coming up from Arizona for my birthday. I haven't seen them for a few years so I am rather excited! This is the week for surprises. I also recieved a beautiful necklace from Maria Rosa Sharrow of Willow Street Shops. Isn't it gorgeous!